The most amusing thing about the new Mustang is evident when you pop its hood. Here’s the longest-running name in the musclecar business, looking all mean and modern and ready for the 21st century. And what do you see in its engine bay? Space. That space produces a consistent response from people who’ve just said, “Hey, is that the new Mustang?” Their next comment: “A four-banger?” Perhaps the EcoBoost’s greatest downfall is that it demands explanation every time you pop the hood. If you’re buying one, here’s a cheat sheet: lower weight, better fuel economy, and 320 lb-ft of torque. Weight? Our automatic-equipped EcoBoost Premium weighed 146 pounds less than the manual GT, and 96 pounds of that came off the nose. 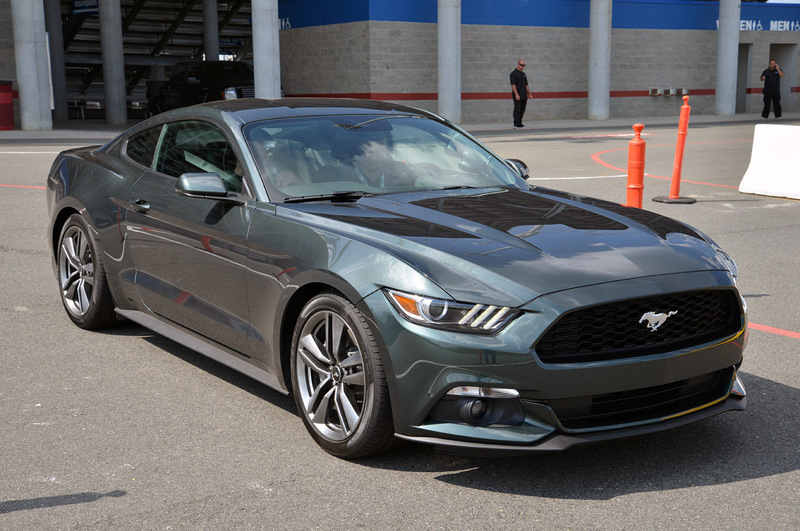 Unfortunately, Mustang weight has crept up this generation, and this EcoBoost model is up 128 pounds versus the last V-6 Performance Package. Horsepower has increased by 5 versus that same V-6 (though new V-6s are rated another 5 hp lower), but torque has increased substantially, up 40 lb-ft. Lean in over the 2.3-liter inline-four, peer over the passenger side, and there, sitting underneath a bit of heat shielding, is the twin-scroll turbo helping supply that power with 18 psi peak boost—if you believe the gauge. A six-speed automatic routes that power to a 3.55:1 final drive and locking rear differential, then out to two 9.0 x 19-inch wheels shod in 255/40 Pirelli P Zero tires. 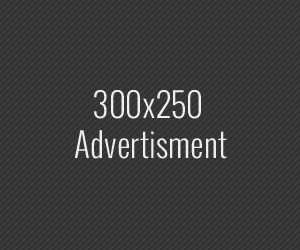 Those parts come with a $1995 Performance Package that also adds beefier braking hardware (13.9-inch rotors/ four-piston caliper front and 13.0-inch rotors/ single-piston caliper rear) and a larger diameter rear anti-roll bar. With stability control off and the car in Track mode, a launch involved holding both pedals, waiting for boost to surge, and releasing the brake. It’s an amusing process, and produced a best 0-60 mph time of 5.6 seconds and a quarter-mile pass of 14.1 seconds at 97.8 mph. The upsized braking hardware and P Zero tires produced a best 60-0 mph stop of 106 feet, with the other three stops hovering in the 107-foot range. Those acceleration results beat the GTI by 0.1 second, but fall short of the potential speed from a WRX launched as if you’ve stolen it. 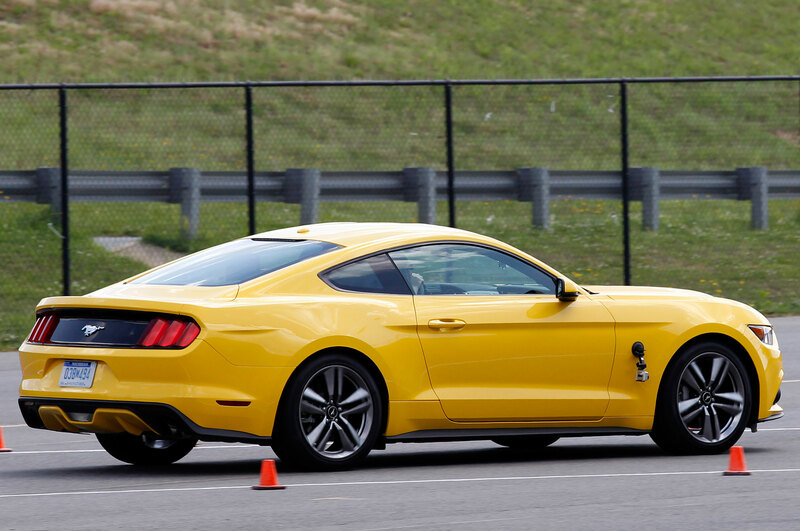 The Mustang posted a 25.5-second lap time around the figure eight, tying the WRX but trailing the GTI by 0.4 second. At an average 0.96 g laterally, the Mustang tied what we recorded from the GTI. Considering the lack of weight on the nose, we expected a bit more nimbleness than this Mustang offered. It stops authoritatively and allows aggressive corner entry. Exits are fun, too; the car digs out of corners with a nice amount of stability. But mid-corner behavior is disappointing— the car’s attitude feels somewhat soft and mushy, offering a mild understeer that’s difficult to adjust. Where the GT likes being adjusted with the throttle—the instant-on V-8 torque allows you to counter the chassis’ tendency to push—the turbo doesn’t allow this option. 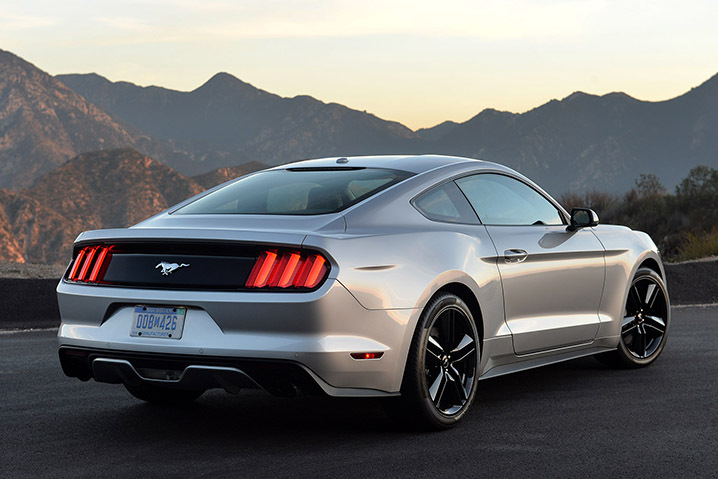 In real-world driving, where turn radii, elevation, and surfaces change, the Mustang was more enjoyable. Jump on a sweeping on-ramp, feed in boost while you dial in that nicely weighted steering, and it’s easy—and fun—to push yourself and the car harder. The turbo makes neat whooshes when the hood is open, but unfortunately you don’t hear them from inside the cabin. The noise you do hear is somewhat mechanical, like the Focus and Fiesta ST’s amplified induction notes. It’s aggressive, if not sing-songy. The interior design matches the sharp exterior. You can sense the Mustang traces in the layout, but controls and screens feel modernized—amusingly, the speedometer is labeled Ground Speed in a nod to the P-51 aircraft that inspired the name and gauge graphics. The driver’s seat offers great forward visibility, and you can use the hood’s visible creases as reference markers. The shifter falls easily under your hand, as do all the steering wheel-mounted controls. There are quite a few of those controls. Our EcoBoost was fully loaded, with heated and cooled seats, adaptive cruise control, dual zone climate control, and so on. Though the Premium trim started at $29,995 and totaled $37,660 after options, dropping items such as the adaptive cruise control ($1195), that automatic ($1195), and a few others makes sense for enthusiasts. But if you’re going down that route, the non-Premium EcoBoost starts at $25,995, cutting out satellite radio and the options mentioned above.The best way to picture how an engine responds is through a power/torque graph such as the one on page 44. During five runs, output remained consistent. Torque stayed above 290 lb-ft for four out of the five runs, varying around 3 lb-ft. Stretch the tach upward, though, and once peak horsepower arrives at 5300 rpm, it’s all downhill after. The last thousand rpm feel soft, and as a result, wringing it out during limit-handling tests or straight-line acceleration can feel a little unsatisfying. Shortshifting is an entirely viable option. Surprised by the lack of high rpm grunt? You shouldn’t be. Look at power/torque graphs of the Focus and Fiesta ST and you’ll see a very similar shape, though at lower numbers. Clearly, this engine was developed with a similar mindset. And, well, look at how much we love that Fiesta ST. Overall, the EcoBoost makes a very pleasant non-V-8 entrant in the Mustang lineup, matching the performance of similarly priced enthusiast cars if you option it reasonably. It’s by no means a replacement for the V-8, but nor is it the penalty box the V-6 used to be. Its higher fuel economy rating and strong low-rpm power delivery make it a compelling choice as a fun, sporty daily driver.